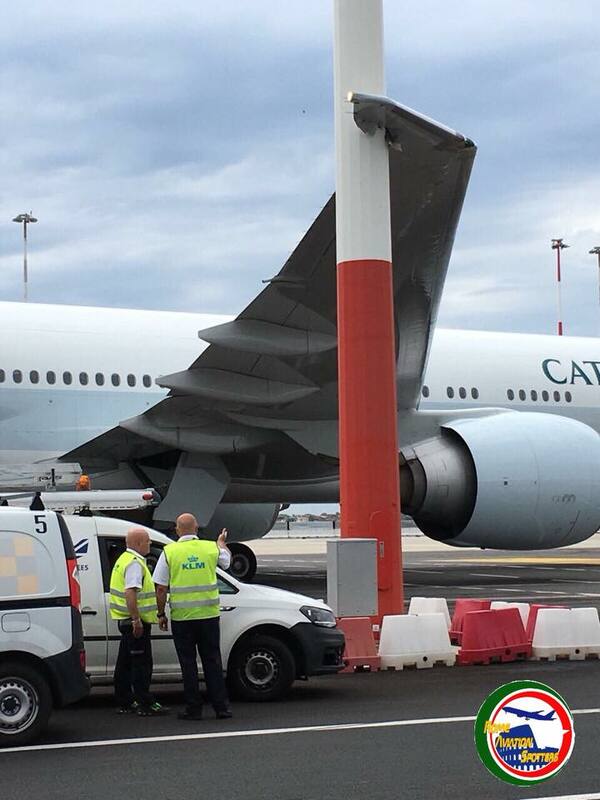 The right wing of a Cathay Pacific Boeing 777 was badly crushed after it hit a floodlight pole at Rome airport on Wednesday morning, as the plane was being towed by ground staff. The incident occurred when the Boeing 777-300ER aircraft was being towed by a truck operated by a local ground handling agent at the airport. 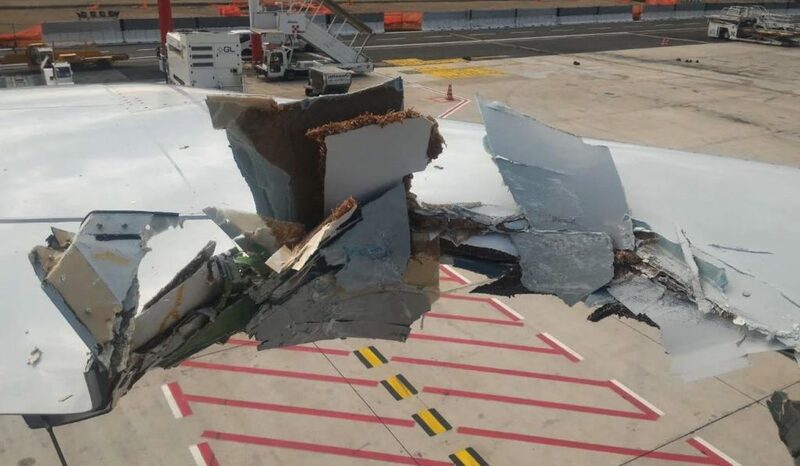 An engineering source at the airline who viewed photos of the incident said the damage was fixable, but it would not be an easy job. The plane was highly likely to be “grounded for a good while”, the source said, indicating the need for a complex repair job at Leonardo da Vinci–Fiumicino Airport. The airline may try to send passengers to London and Paris, where there is more than one Cathay flight a day to Hong Kong.